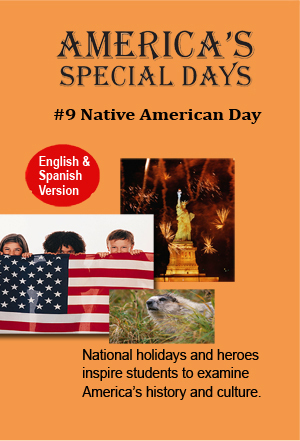 America’s Special Days celebrates Native American Day. Francesca, our guide, takes us to a Native American store. She explains the important contributions of Native Americans, including names, foods and ideas that we have adopted. We learn how the Native Americans helped the Pilgrims to survive in the New World. Francesca’s Native American friends talk to us about Native American heritage, past and present. We learn that we have received many foods and ideas from them. We also visit a Native American boy named Red Wing, and we spend the day with him.